We’re only days away from the official launch of Samsung’s next flagship phone, but that doesn’t mean that leaks about the device will run dry until then. 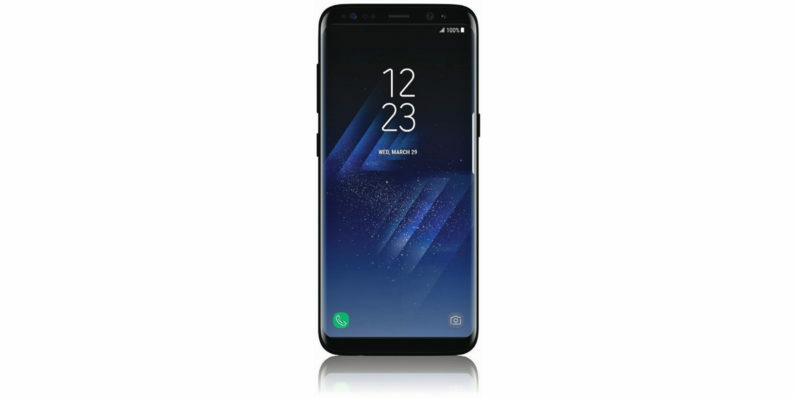 Today, insider Evan Blass has shared a render of the Samsung Galaxy S8 which looks like it might be legit. Look closely, and you’ll spot some interesting details, like a screen with curved sides and rounded corners, as well as an additional hardware button on the left. The render shows a design that’s a lot closer to the video footage captured by a Weibo user earlier this week than the one we saw in photos back in January. If the render is indeed from an official source, it’s likely that the extra button could be set to trigger actions like launching an app or acting as the camera shutter, or perhaps it’s meant for invoking Samsung’s upcoming virtual assistant, named Bixby. You’ll also notice an array of sensors above the display; it’s likely that one of these is an iris scanner, which we heard rumours about in January. As for the screen, it looks like Samsung is following the Galaxy Edge line’s legendary design cue to extend the display over the sides and allow for easy access to shortcuts, among other software features. The narrow side bezels also add to the device’s sleek profile. It’ll be interesting to learn just how many of the rumors and leaks from the past couple of months are on the money. We’ll know soon enough: Samsung is set to unveil the Galaxy S8 on March 29.